Italy looks nice in the end. Gotham City‘s masked guardian, the fast bikes and riveting action; the last installment of the ‘Batman‘ trilogy serves up more chills and thrills, although most fans and critics would swear by the second one; Heath Ledger and the ‘Joker’. The buzz around this movie has been amazing, a viral video, speculation and expectations. So how does this movie stack up? A little less than thought, but engaging nevertheless. It also attempts to reveal a social conscience, when the terrorist Bane suddenly accuses the police commissioner of complicity in corruption. The movie’s plot starts eight years on, after the Joker’s blood-curdling mayhem in ‘The Dark Knight’. Eight years on, Batman is now a cripple confined to his quarters, with only Michael Caine aka Alfred Pennyworth for company. 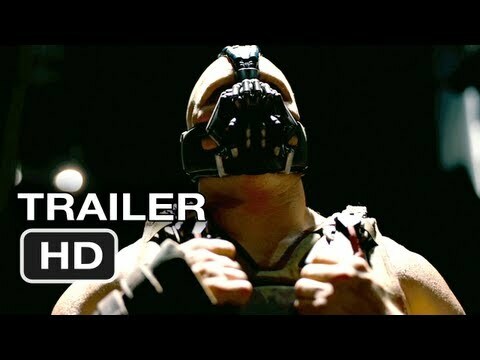 There are multiple villains in this installment; but the most prominent rogues are Selina Kyle, the Catwoman and Thomas Hardy as Bane. One of the interesting facets of the Batman movies are over-the-top potrayals; divorced from reality. Hardy is interesting as Bane, but not as convincing as the other villains; Jack Nicholson and Heath Ledger. The prison, a ubiquitous feature in this movie is a synonym for struggle, survival, triumph of the human will; a staple of story-telling. Movie trivia; the first shot of this movie was taken at the Mehrangarh fort in Jodhpur, Rajasthan. Another impressive feature is the staging and scale of the production. According to Hollywood sources, most of the budgets for the Batman movies hover around $ 150 million. This movie is similar, but the locations are a little more interesting; especially the shots of Rajasthan. Admittedly, the previous movie was defined by the mesmerizing performance of the Joker and his histrionics, but the latest installment has its moments. Summoned at the behest of white-collar crime lords, Bane has enlisted subterranean exiles and his own private army to wreak havoc on the citizens of Gotham. Another interesting character is Miranda Tate(Marion Cotillard) as a businesswoman apparently trying to help Batman along with Lucius Fox(Samuel L. Jackson). The movie was scripted by Nolan and his brother Jonathan along with David S.Goyer. According to the writers, the movie was inspired from the book ‘A Tale of Two Cities’ by Charles Dickens. Contemporary pop mythology derives from old literary sources. R’as al-Ghul and the League of Shadows make an appearance in this movie; watch it to find out more. My personal favourite remains the second one in the trilogy, and the old one; made in the 80s. Movie-making is a tough business; and creating special effects is also hard work; but the story here is not as compelling as it could be. A few other Hollywood movies are better in that department.